MANY women sacrifice their careers when they begin a family. Despite their potential to further contribute to the society, these women often find difficulty getting re-employed once they leave the workforce. 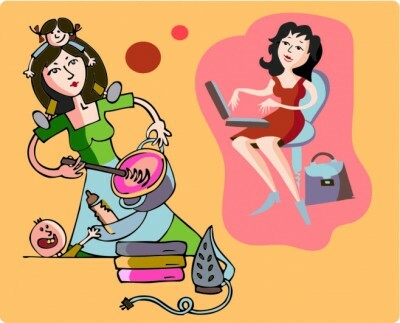 What can be done to encourage employers to hire homemakers who want to return to the workforce? How can organisations in Singapore be more family-friendly to draw women back to work? Here are some suggestions. When a position was made available in my department some months ago, I did what most managers would do — inform the human resource department to start sourcing for suitably qualified candidates for interviews. Pressure was mounting to fill the position and no one suitable was in sight. I could neither take on the extra work nor pass it to someone else. It was then that I recalled speaking to a homemaker some time back who told me that she wanted to rejoin the workforce as her children were all in school. Her only requirement was that she wanted a part-time job as she still wanted to care for her family. It would be unreasonable to expect a part-timer to do a full-timer’s job. The secret is to focus on making work more efficient. Managers need to differentiate between key responsibilities and routine duties. Include the value-added tasks in the part-timer’s job responsibilities and redesignate or outsource the routine ones. There may be some inconvenience, especially when managers are comfortable having everything done in-house. But over time, people will adapt. Employers may find the employment gaps in a homemaker’s resumé a huge deterrent. My new colleague was a homemaker for 13 years. Instead of focusing on her limitations, I chose to identify her strengths and transferable skills from her previous work experience, and see how I could optimise them in her new job. If the candidate has been away from the workforce for some time, her skills could be outdated and she will require further training. The sooner the bosses recognise this and provide the relevant training, the faster the employee will gain speed and perform better. Although it can be time-consuming, it is crucial for the boss to closely supervise the employee in her first couple of months back on the job. Ms Christine Ting, a senior executive for corporate services at human resource consultancy The GMP Group, was a homemaker for 13 years before she joined her current employer. After devoting her time to nurturing her children for more than a decade, she felt it was time to prepare for the next phase of her life — returning to the workforce. However, the task seemed daunting, with several hurdles to overcome. It is easy to fall into a rut when you are at home. If you want to return to the workforce, the most important thing to do is to prepare for change. Yes, you do have many responsibilities and commitments as a homemaker, but going back to work is possible if you re-organise or re-distribute some tasks to other family members or engage professional help. Talk to friends about returning to work. Step out of your comfort zone by attending personal development courses, talks or seminars on subjects of professional interest. During these events, try to talk to people and make acquaintances. These early attempts at networking will prove very useful. It is during opportunities like these that word will get around regarding your “availability”. Read industry-related websites and/or magazines to update yourself on the latest developments in your field or the market. While the anticipation of restarting work can be exhilarating, any new environment is strange, stressful and bewildering. Give yourself time to adjust to your new environment, responsibilities and colleagues. Keep communication lines open with your supervisor and consult him often. If the task seems too daunting, break it down into bite-sized pieces to make it more manageable. Swallow your pride and ask a more experienced colleague to show you the ropes. Develop tenacity and know that you can do the job if you persevere — don’t worry if everyone in the office is younger than you or more tech-savvy. Many talented Singaporean women put their careers on hold when their families needed them. Now that they are ready to rejoin the workforce, they form a potentially valuable talent pool that employers can draw on.